One sip, and your mind freezes over in a pure state of fresh bliss. You could call this a palate-cleansing frosty - but I call it a day-cleansing frosty. "Stress be gone." says the hypnotic green lime juice. * Add frozen or fresh mango! * Add double bananas for a creamier sip! 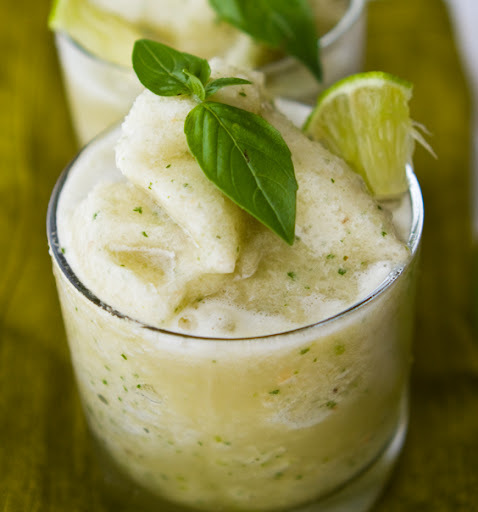 * Add a scoop of vanilla soy ice cream for a lime-cream-sicle sip! 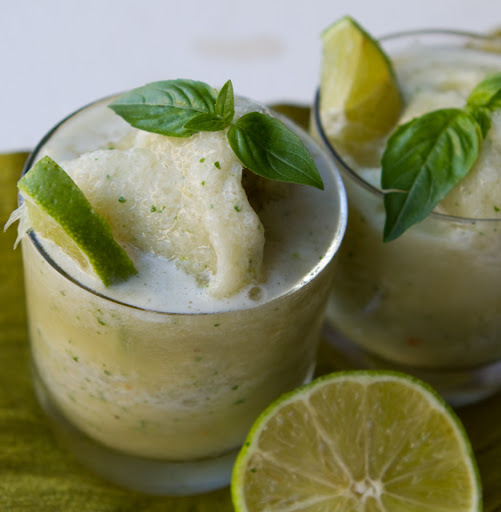 or go with the pure lime and basil flavor..
*the amount of water you use determines how intense your frosty flavor will be. 1. 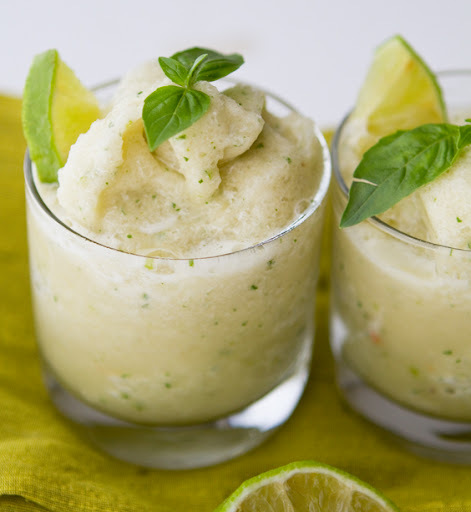 Add the fresh citrus juice to the blender. I used my Vitamix. 2. 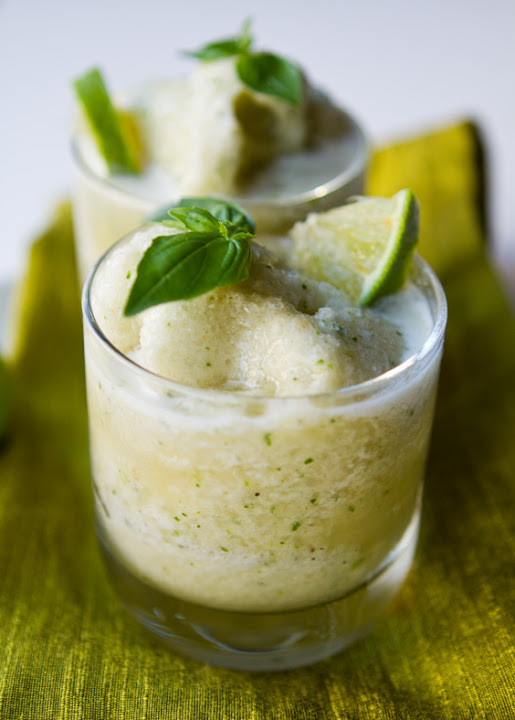 Add in the ice cubes, banana, sweetener, lime zest and basil. 3. Start blending on low - slowly add in the water 1 Tbsp at a time. Keep blending until a desired thickness is reached. 4. Pour into glasses. Garnish. Salt-rimmed glasses are a nice touch too.